SEATTLE, Washington (August 1, 2018) – Bob Tasca III announced today that he has joined forces with LINE-X for the remainder of the 2018 NHRA Mello Yello Season and all of 2019. 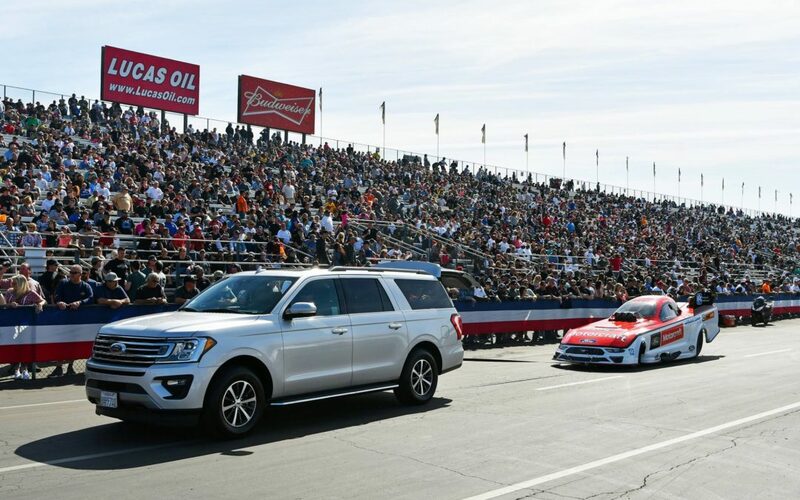 In addition to the sponsorship, Tasca will also join the LINE-X family as one of the newest franchise owners and will soon open his own LINE-X location at Tasca Collision Center in Cranston, R.I.
Tasca will be back in his Motorcraft Ford Mustang in Seattle along with LINE-X featured on the car as well. The last race of the western swing will be at the CatSpot NHRA Northwest Nationals in Kent, Washington. “Our team ran strong in Sonoma. We ran at the top of the page every qualifying run! We had a big first round win and we pressed a little too much in the second round. Fortunately, we were able to pad our points leads and closed in on the number 9 spot. Seattle should be very similar conditions to Sonoma so we intend to pick up right where we left off,” said Tasca. Qualifying for the 2018 CatSpot NHRA Northwest Nationals will feature two rounds of qualifying Friday, August 3, at 4 and 6 p.m. The final two rounds of qualifying will be Saturday, August 4, at 2 and 4:30 p.m. Final eliminations are scheduled for August 5, at 11 a.m.